As a part of the architecture of the Israeli occupation of the Palestinian Territories, the Israeli government introduced in 2005 a series of so-called terminal checkpoints as “neutral border crossings”, aimed at minimizing the impact of these barriers on Palestinian lives through a different design and the use of several machines, such as turnstiles and metal detectors. In this article, we analyse terminal Checkpoint 300 in Bethlehem, framing it as a spatial political technology aimed at controlling the movement of Palestinians. More specifically, we investigate the interactions between Palestinian commuters, Israeli soldiers/security guards and the machines operating inside Checkpoint 300. We conclude by suggesting that Checkpoint 300 is a porous barrier whose regime is produced, reproduced but also challenged by such interactions, and that, despite the new “neutral design”, Checkpoint 300 is a place still filled with tension and violence, often exercised by the machines and their “decisions”. Alexandra Rijke is currently a PhD candidate at Wageningen University in the Netherlands. Her research analyses the daily geographies of the barriers in Israel/Palestine, seeking to shed light on the assemblage of separation barriers, with a special focus on checkpoints. Alexandra analyses checkpoints as spatio-political technologies that “do things” as they produce, via the agency of their human and non-human components, specific geographies based not only on the limitation and control of the movement of Palestinians, and wish for unrestricted movement of Israeli settlers, but also on Palestinians’ diverse and creative forms of engagement with those restrictions. As well as working with Alexandra in Cultural Geography at Wageningen, Claudio Minca is the Head of the Department of Geography and Planning at Macquarie University in Australia. 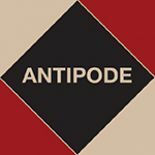 His work on postcolonial geographies of tourism and travel, spatial theories of modernity, conceptualisations of landscape, place and power, space and biopolitics, and camps and carceral geographies, will be well known to readers of Antipode (though see here). As well as Antipode, Claudio and Alexandra have published their work on Checkpoint 300, and borders more generally, in the journal Political Geography and on Society and Space‘s brilliant companion website. This entry was posted on 17 April 2019 by Antipode Editorial Office in Other and tagged architecture of occupation, checkpoints, Occupied Palestinian Territories, Palestinian mobility, spatial political technologies.